In order to achieve and maintain athletic performance you must have optimal health. The maintenance of optimal health should be your primary concern and should be prioritised before the attainment of physical strength. Athletic performance then becomes a natural progression. That being said, unfortunately modern diets are often filled with processed foods that do not provide adequate nutrition to support and maintain optimal health. In addition to sub optimal health and below par athletic performance, inadequate nutrition may exacerbate mood disorders such as depression and anxiety. Fish oil is a form of fatty acid that is derived from the tissues of oily fish. It contains the omega-3 fatty acids, including eicosapentaenoic acid (EPA) and docosahexaenoic acid (DHA). 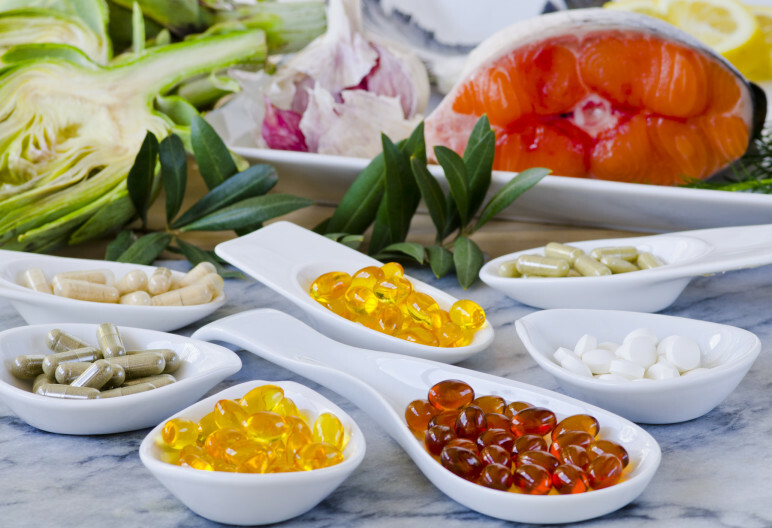 These essential fatty acids have been shown to offer a myriad of benefits. and supplimenting with them will enhance your overall health, which is the key to maintaining athletic performance over time. They are termed “essential” because they are required for proper function, but our bodies are unable to produce them. Thus, we must obtain them via a food source or from supplements. Fish oils are beneficial in the treatment of many health conditions including: heart disease, ADHD, anxiety, depression, high cholesterol, inflammatory bowel disease, arthritis, alzheimer’s disease, eczema, diabetes, cancer, weakened immunity, autoimmune disease and macular degeneration. The ingestion of adequate amounts of fish oil, as well as eating a diet that is rich in fresh fruits and vegetables, is paramount in supporting optimal health and well-being. I recommend Krill oil from Good Health Naturally. Click on the banner below to access this and other products the quality of which I cannot recommend highly enough. Vitamin D can be found in small amounts in a few foods, including fatty fish such as sardines and tuna, but most vitamin D some 80% to 90% is obtained through exposure to sunlight. Generally speaking however, our modern lifestyles prevent us from receiving the level of Vitamin D from sunlight that our bodies are designed to obtain. An inadequate number of dietary sources results in a large proportion of society being Vitamin D deficient. Obviously, people exposed to minimal levels of sunlight are especially at risk. Vitamin D deficiency however, can also occur even in sunny climates, possibly because people are staying in, covering up outside, or using sunscreens consistently to minimise skin cancer risk. Sunlight rapidly restores levels of vitamin D apparently just 6 days of casual sunlight exposure can compensate for 49 days of zero sunlight exposure. Zinc is essential for growth and development throughout all stages of life. It supports a healthy immune system, participates in wound healing, and assists in the formation of proteins and cell membranes . It’s involved in the production of at least 300 enzymes and assists in hundreds of bodily processes, from producing DNA to cell repair. Zinc increases the number of infection-fighting T-cells and is also key in assisting the production of thyroid-releasing hormones, or TRH, in the brain, which then signals the pituitary to produce thyroid-stimulating hormone (TSH). This has important implications for male athletes, as a failure to do this additionally results in low testosterone levels. Zinc boosts sexual health and testosterone levels and reduces the risk of prostate cancer. It has also been found to improve the antioxidant capabilities of the liver. Circulating testosterone and free testosterone both appear to increase with oral zinc intake. A study of haemodialysis patients taken over a 6 week period revealed an 85% increase in testosterone levels when participants ingested 25mg zinc sulphate. Zinc deficiency has been associated with increased expression of oestrogen receptors. The enzyme aromatase converts testosterone to oestrogen and zinc decreases aromatase activity so preventing excessive conversion of testosterone to oestrogen, which is somewhat useful if you are a male. Zinc deficiency can increase protein oxidation in the testes, dysregulating other enzymes and proteins resulting in degeneration of testicular structures and impaired testosterone secretion. Not good. Zinc then is especially important for men because of its role in maintaining testosterone levels and overall sexual health. But since our bodies don’t produce zinc, a daily intake is recommended to ensure healthy levels of this critical mineral. Some athletes therefore use zinc supplements in order to improve athletic performance and strength. Food sources which contain zinc include meats, seafood, dairy products, nuts, legumes, and whole grains. Magnesium is often termed the master mineral and is one of the six essential macro-minerals that comprise 99% of the body’s mineral content. Magnesium enables nerves to function, assists bone formation, and is essential to the production of energy from food. Magnesium can reduce symptoms from conditions such as chronic pain, fatigue and insomnia. Magnesium may also provide protection from a number of chronic diseases, especially those associated with aging and stress. Optimum magnesium levels are also associated with lowered blood pressure, reduced incidence of type II diabetes, reduced symptoms of asthma, and improved memory. Increased magnesium levels have also been linked to reduction of bone loss in older people. More importantly for athletes research indicates that supplementation with magnesium increases free and total testosterone values in sedentary individuals and in athletes. Magnesium supplements are best obsorbed through the skin or ingested in chelate form, rather than the oxide commonly sold which is far less bioavailable. A growing body of scientific evidence suggests it is possible to treat and prevent some illnesses by ingesting foods and supplements containing certain types of live bacteria. Probiotics are one such food and consist of live bacteria and yeasts that benefit the digestive system. The human body is full of bacteria, some beneficial, some not. Probiotics are often referred to as “good” or “helpful” bacteria because they assist in maintaining gut health. The principal reason that our digestive tract is critical to our health is because 80 percent of our immune system is located in the digestive tract. In addition to the impact on the immune system, our digestive system is the second largest part of our neurological system. It is called our enteric nervous system and is located in our gut. It is also frequently referred to as our 2nd brain. There is also a growing body of opinion that health issues such as thyroid imbalance, chronic fatigue, joint pain, psoriasis, and many other conditions may originate in the gut. If these issues and others are indeed connected to our gut, then we really need to ensure the maintenance of our gut health. In order to restore our digestive health it is necessary to balance out the good and bad bacteria in the gut because the restoration of gut health is reliant on an appropriate balance of good and bad bacteria. In order to maintain optimal health you might want to consider consuming probiotic rich foods and supplements on a daily basis. http://www.ncbi.nlm.nih.gov/pubmed/11940110 Effects of arachidonic acid plus zinc on glucose disposal in genetically diabetic (ob/ob) mice. http://w3.unisa.edu.au/researcher/issue/2006january/story4.asp University of South Australia. Fish oil wins over children with ADHD. http://www.ncbi.nlm.nih.gov/pubmed/7271365 : Effect of zinc administration on plasma testosterone, dihydrotestosterone, and sperm count. http://www.diet.com/g/digestive-diseases .Digestive Diseases. Laberge, M.
http://www.ncbi.nlm.nih.gov/pubmed/12160191 The effect of magnesium supplementation on blood pressure: a meta-analysis of randomized clinical trials.